Fuel Up! California Gold Nutrition® Protein Bars were created to fuel any workout. 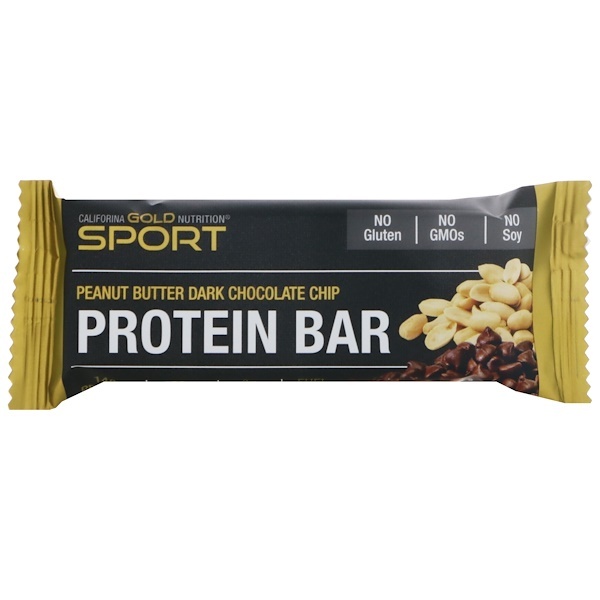 Peanut Butter Dark Chocolate Chip Protein Bars contain U.S. Sourced Whey (Wisconsin) & Milk (Idaho) Protein Isolates. 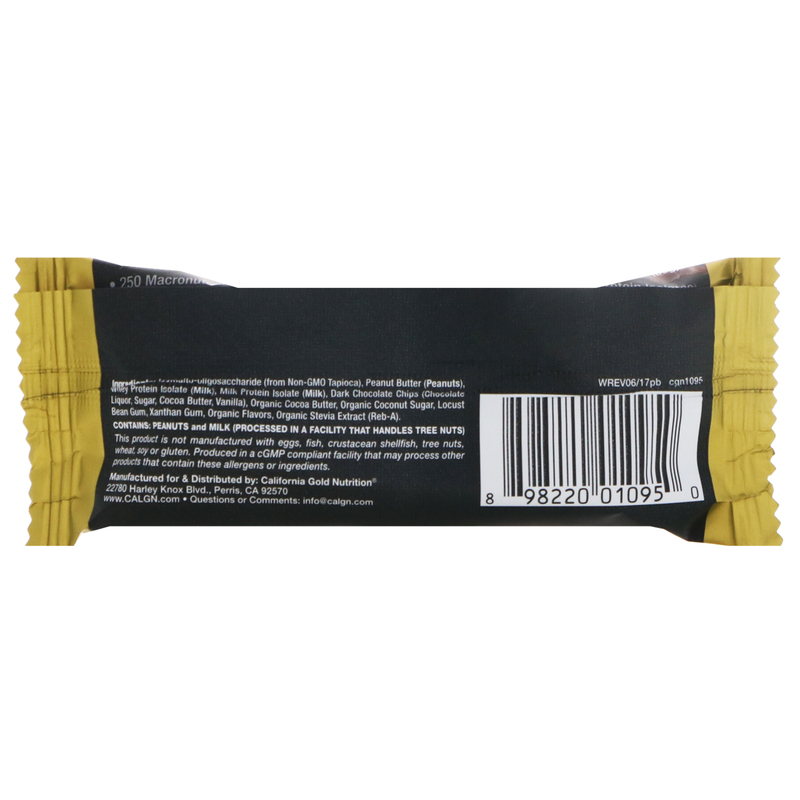 With less than 5 g of added sugars and 14 g of premium quality protein, you can feel good about this macro-nutrient rich nutrition bar. This product is not manufactured with eggs, fish, crustacean shellfish, tree nuts, wheat, soy or gluten. 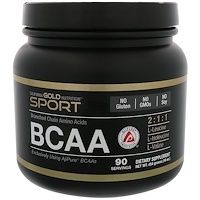 Produced in a cGMP compliant facility that may process other products that contain these allergens or ingredients.